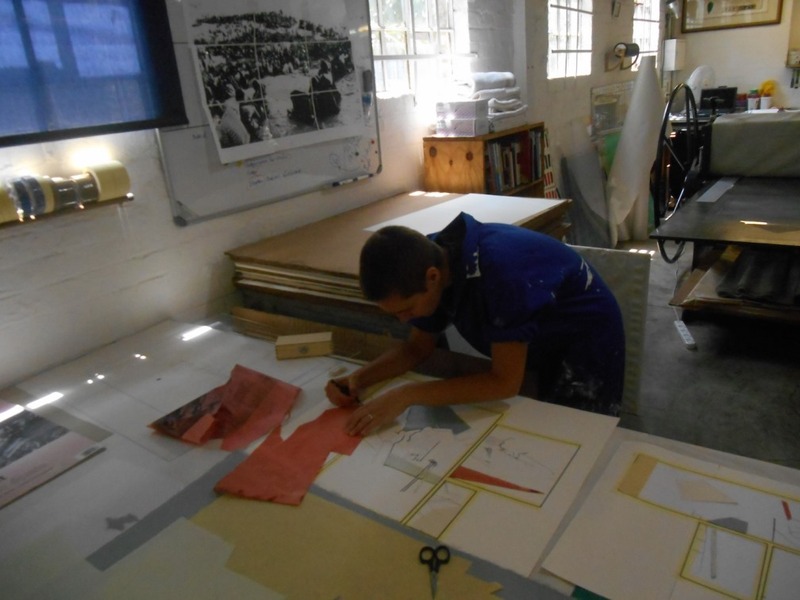 Senzo Shabangu and Godfried Donkor have been working at David Krut Print Workshop, Parkwood, this week on linocuts and monotypes which will be collaged in Donkor’s characteristic style. 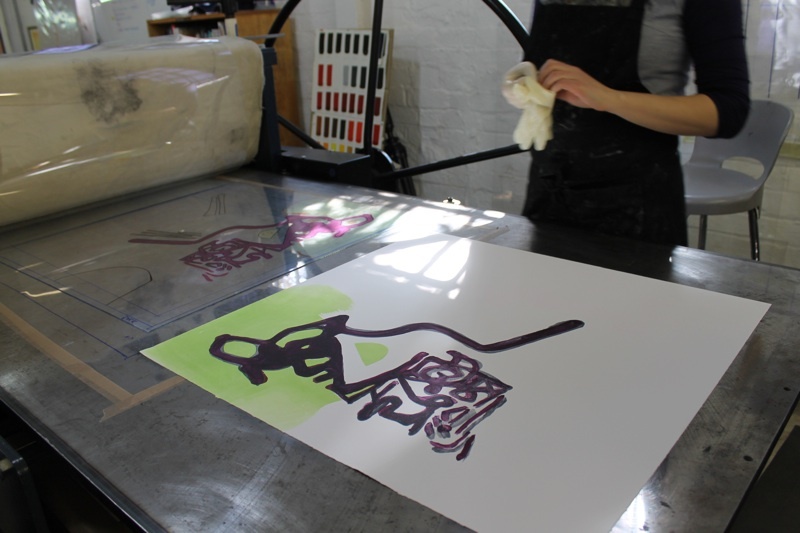 Photographs below have been provided by studio assistant Tendai Mupita. 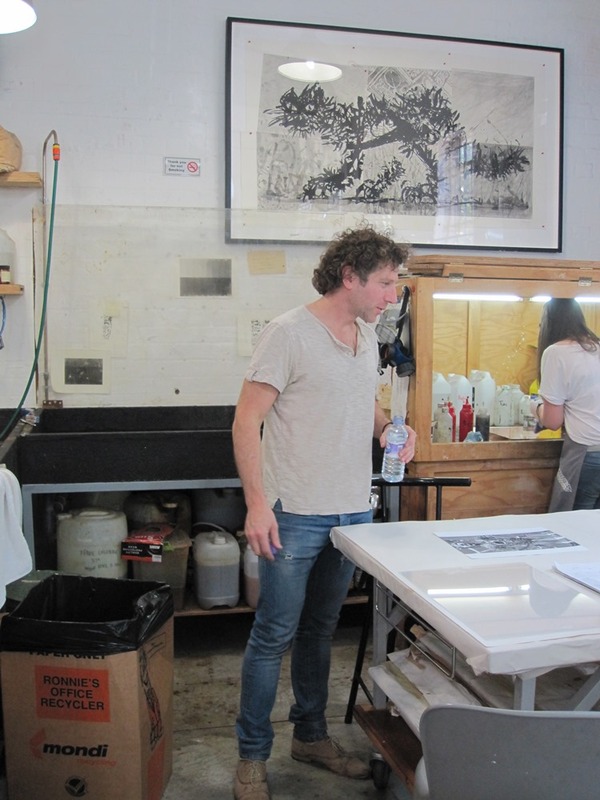 Benjamin Tritt has continued to work at David Krut Print Workshop, collaborating with printmakers Kim-Lee Loggenberg, Neo Hlasko and Chad Cordeiro. 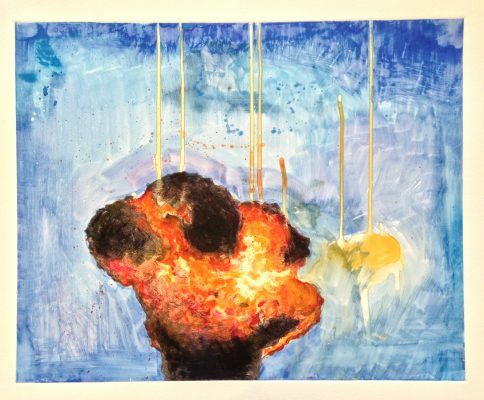 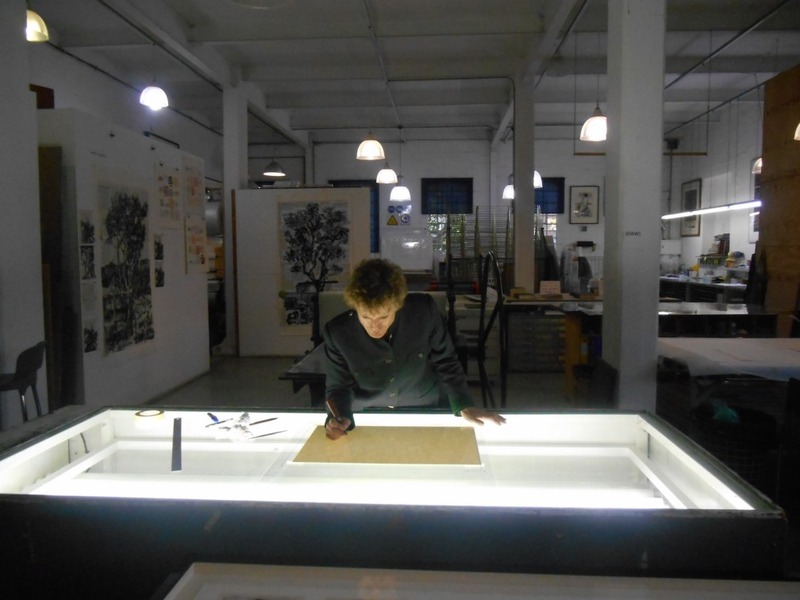 In the images below Tritt can be seen working on monotypes, as well as the first stages of a collagraph. 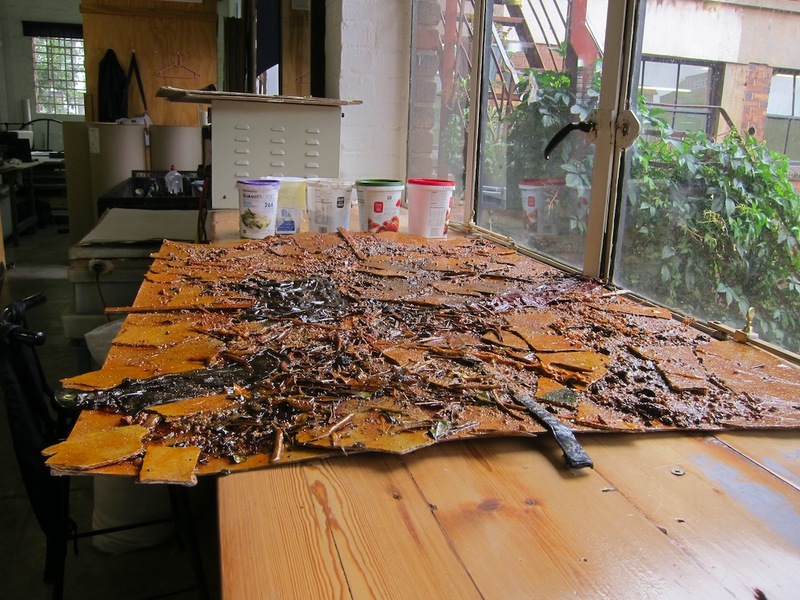 Works in progress are currently on display at DKW, Arts on Main. 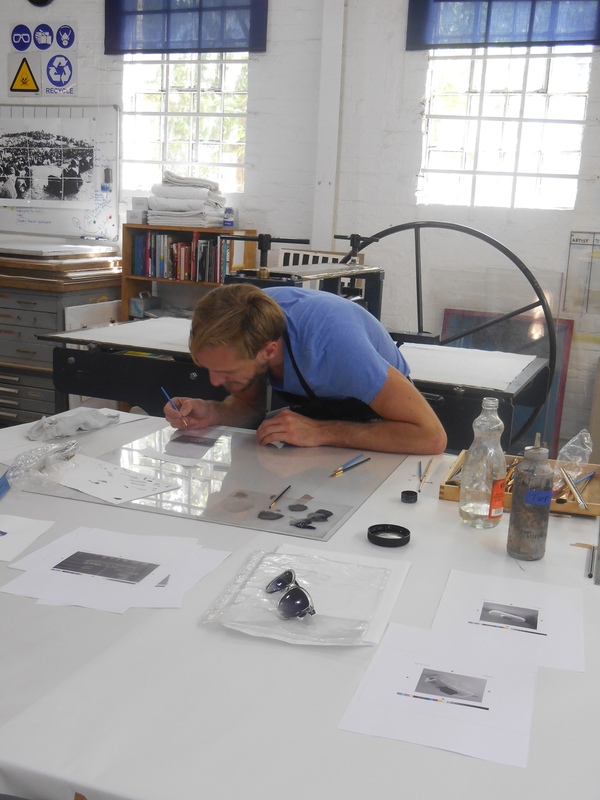 Quinten Williams has recently been working at David Krut Print Workshop, Arts on Main, on a series of monotypes as part of a collaborative project with Maja Maljevic. 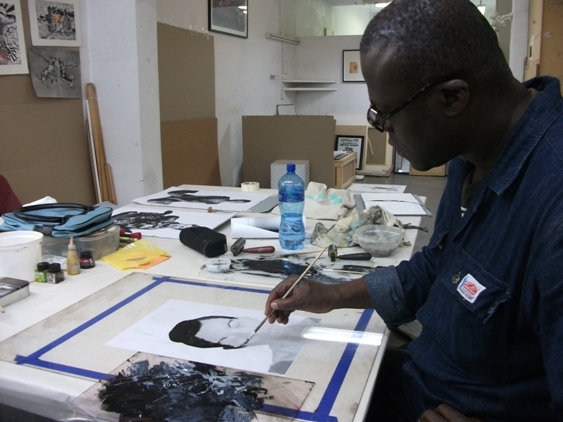 During August 2013 works in progress will be on show in the gallery space at Arts on Main. 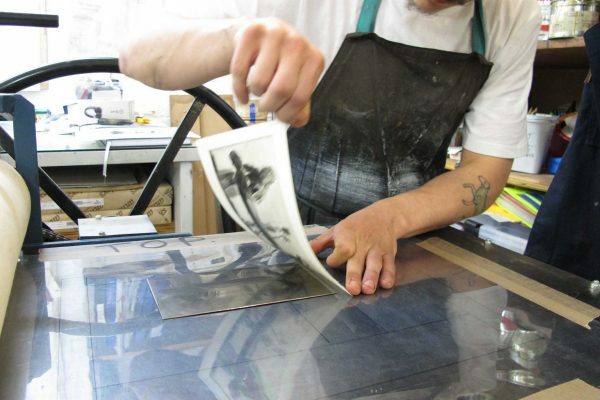 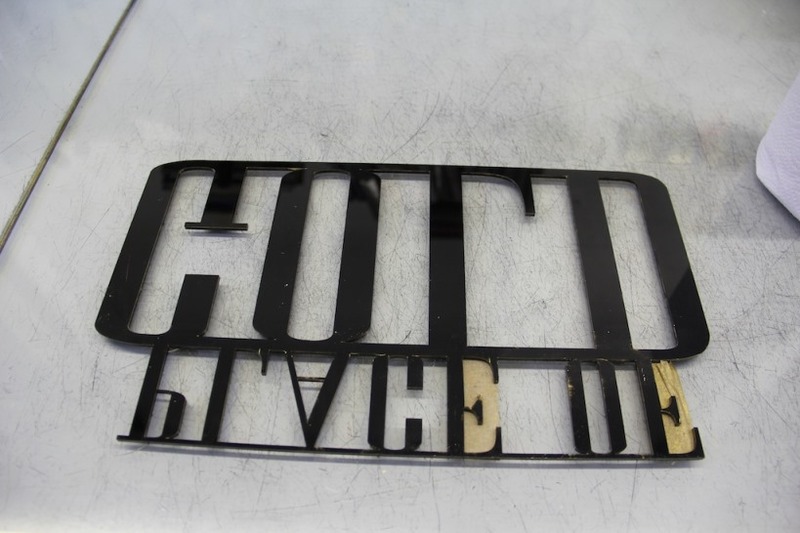 Williams’ previously printed at the workshop in 2012.